We have designed the Manchester Management Development Programme with Middle Eastern business culture in mind, applying significant experience and expertise in international business. The programme covers a range of issues that are especially important when doing business in the Middle East. The Manchester Management Development Programme concentrates your learning across three days. You will answer the ten key questions that all ambitious managers should ask themselves. We'll make sure you leave with a clear action plan and the confidence, knowledge and skills you might need to achieve it. What do I need from others? What do I need to be in command of? Who do I need to get on board? 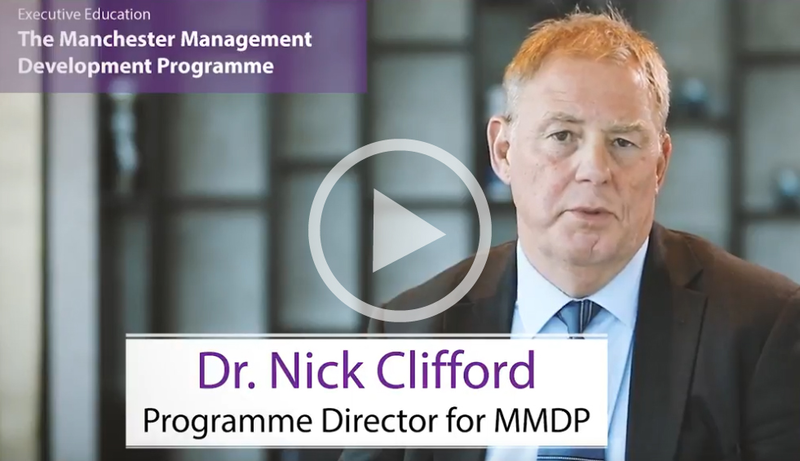 The Manchester Management Development Programme is designed to support 'managers in transition'. Alliance Manchester Business School has some of the most highly-regarded experts in business management. By working closely with industry, the team can solve real problems, predict future trends and drive change in business and management. Nick is a senior fellow at Alliance MBS specialising in executive education for a broad range of clients. Nick’s early career included retail management in London and he then turned towards urban and regional planning. He joined Alliance Manchester Business School in 2000 and has subsequently been appointed a Senior Fellow in the School. Arun is a corporate educator, company board director and executive associate of Alliance Manchester Business School. With over 25 years’ experience, he works as a non-executive director, leading international business lawyer, visiting professor (at UK and international universities and business schools), and senior government advisor.